Odessa, Mo. 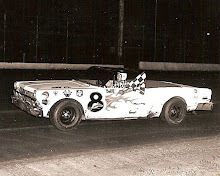 (August 3, 1975) – Butch Hartman once again demonstrated his ability to come through under pressure Sunday night when he won the 150-lap USAC stock car feature at I-70 Speedway. 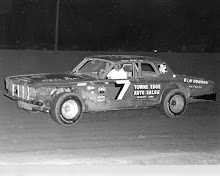 Hartman, who won each of last year’s final three outings to win the stock car division point title by 30 points over Norm Nelson, badly needed a win to protect his current lead. 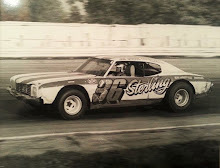 After being disqualified after finishing first in the circuit’s last event at Michigan Int’l Speedway two weeks ago, Hartman found his point lead shaved to only 30 markers over Ramo Stott entering evening’s action. 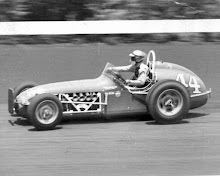 But while Stott had his problems, bowing out with a blown engine after 55 trips around the half-mile oval, Hartman charged to the front of the pack on lap 59 and stayed in complete command to the checkered to record his third triumph of the season and increase his point lead to 140 over Terry Ryan, whose fifth-place finish enabled him to move past Stott in the standings. The win earned Hartman $2,012 of the $10,950 purse. Hartman started sixth and deliberately worked his way toward the front while polesitter Jack Bowsher and Len Gittemeier dominated the opening stages of the event. 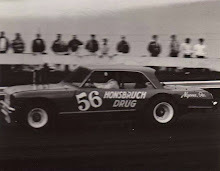 Bowsher led the race’s initial 34 circuits before Gittemeier, a rookie from St. Charles, Mo., who was the evening’s second fastest qualifier, took charge on lap 35. 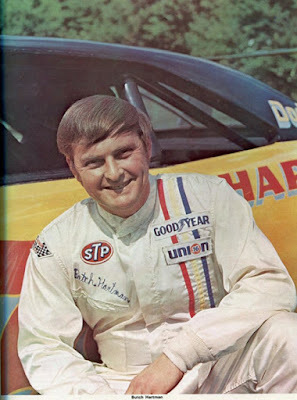 The home state favorite remained in command until lap 58, when Bowsher regained the top spot during a caution period necessitated when Larry Moore blew an engine and spun on lap 59. Hartman used the caution period to make a quick pit stop for fuel and returned to the track in time to take the lead from Bowsher on lap 59. Thee green reappeared on lap 70 and Hartman remained in control of the race for the rest of the way, despite a second caution later for Ryan’s spin on the frontstretch. Bowsher placed second and the surprising rookie, Gittemeier, third. Terry Bivins took fourth, one lap off the pace with Ryan rebounding from his spin to grab fifth.